The United States Court of Appeals for the Federal Circuit today ruled that Navy service members who served in the coastal waters and territorial seas of Vietnam are to be considered eligible for benefits related to Agent Orange exposure. 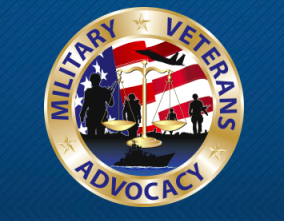 The case, Procopio v. Wilkie, was brought by Military Veterans Advocacy Executive Director John Wells, himself a Navy veteran and attorney. In 1991, Congress passed the Agent Orange Act, granting certain benefits for service men and women who served in the Republic of Vietnam between 1962 and 1975. In 1997, the Department of Veterans Affairs counsel decided that only service members who actually set foot on Vietnamese soil would be eligible for Agent Orange benefits. “What this decision overlooked was that Navy service members who never left ships were still exposed to Agent Orange, often in even more damaging ways,” Wells said. Studies have shown that Agent Orange, an exfoliant later found to be carcinogenic, toxic and otherwise harmful to humans, was in runoff from Vietnam and was literally sucked into the filtration systems aboard ships in the coastal waters and territorial seas. Rather than removing Agent Orange, the filtration process actually exacerbated its harmful effects. Service members aboard ships were thus exposed to enhanced toxicity as they bathed in and ingested contaminated waters. “For years, Navy veterans have suffered with the effects of Agent Orange exposure while the VA remained incalcitrant,” Wells said. Last year, the House of Representatives unanimously passed the Blue Water Navy Veterans Act, which would have overturned the VA’s 1997 decision and restored benefits. The bill stalled in the Senate, with Senators Mike Lee (R-UT) and Mike Enzi (R-WY) placing holds on the legislation because of concerns about cost. While working to get the legislation through the House again in the new Congress, Wells simultaneously battled in court through the Procopio case, partnering with attorney Melanie Bostwick of Orrick, Herrington and Sutcliffe, LLP, in Washington.